Before we start, please excuse my grim uni flat window sill! 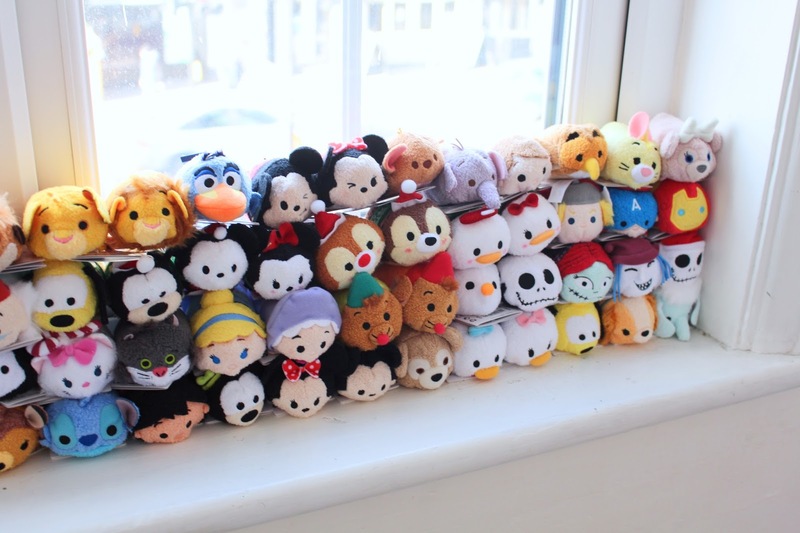 Now I am a lover of all things Disney (if you couldn't tell ha) so when they first introduced Tsum Tsum's I knew I was going to be obsessed with them, because they're so damn cute!!!! 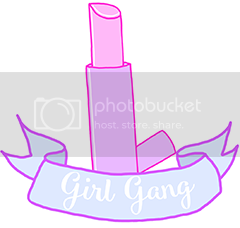 My first post on these little cuties contained 11 and well...now I have 81 (2 are not pictured)!! I know I know, that is excessive (baring in mind I don't have certain collections/full collections) but I enjoy collecting them! 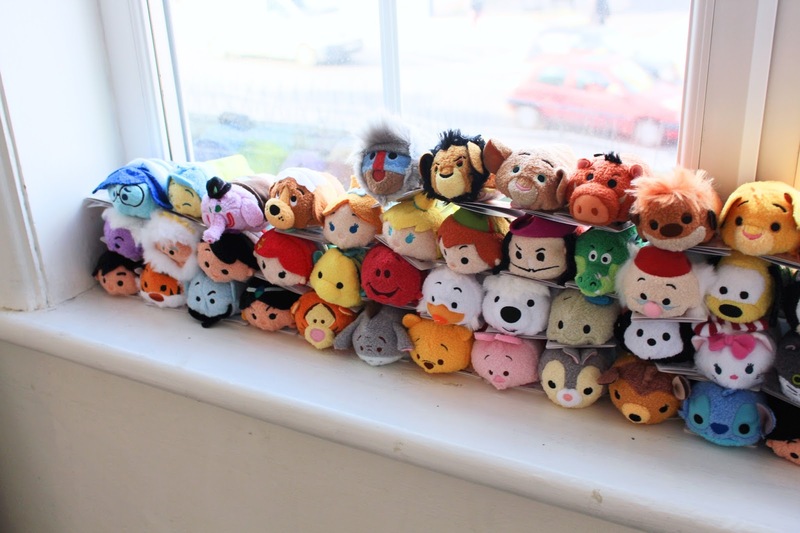 I only buy them from the DisneyStore.co.uk mainly so I know they're authentic, I do have 2 from Clinton Cards, but I find they aren't as squishy or soft as the Disney Store ones. I do also have a few from Disneyland Paris, again that way I know they're authentic. They are £3 in the DS, £3.50 in Clintons and €5.99 in DLP. Another reason I stopped buying from Clintons was that for some reason they put the price up by 50p, what is that about!? 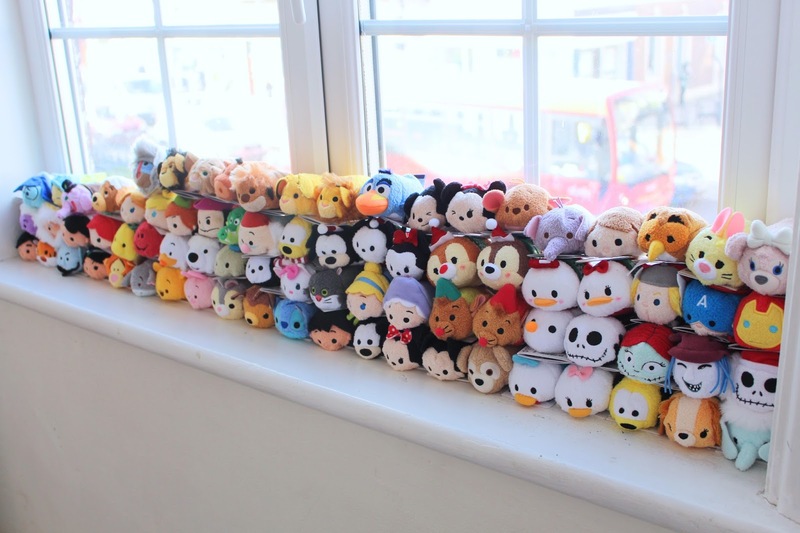 There are lots more collections I would love to get my hands on including; Guardians of the Galaxy, Big Hero 6, Frozen, 101 Dalmatians, Alice in Wonderland and Toy Story just to name a few haha! 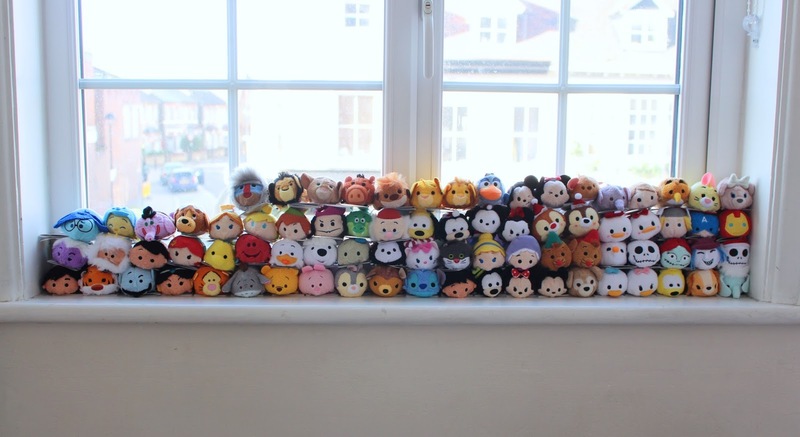 The next release for Tsum Tsum Tuesdays is Zootopia which I am super annoyed about! My rule for buying these is, if I haven't seen the film I don't buy the merch (unless it involves the fab 5/originals). I know this is all a marketing strategy but still, the film isn't out till March I believe so why not release them then, that way you can watch the film and decide if you like the characters or not! Oh well on the bright side it saves me £30 next month haha, but I would have preferred if they bought out the Tangled ones (IM SO EXCITED FOR THEM)!!! 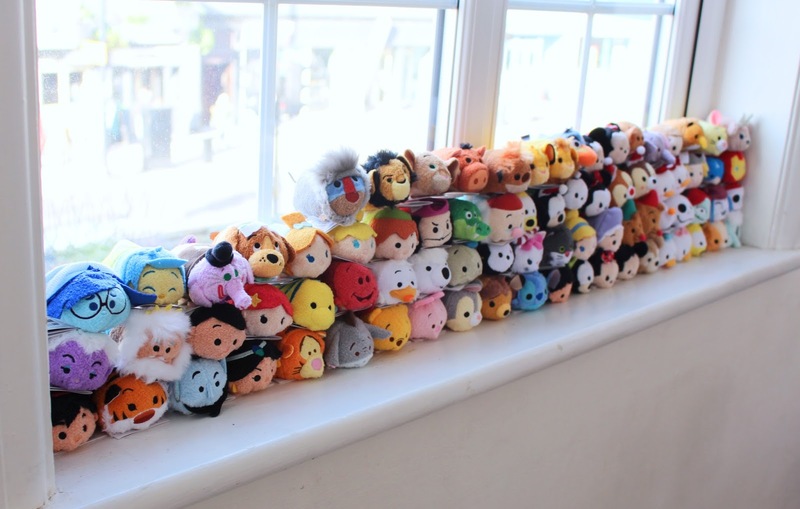 My favourites from my collection are Rafiki, Figaro, Bing Bong, Roo, The expression Mickey and Minnie, actually all of them!!! 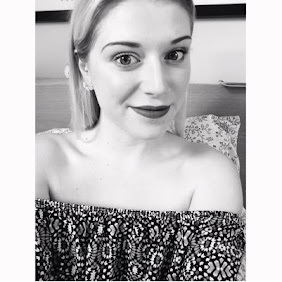 Do you collect these little cuties?! Which ones are your favourites?